UFC heavyweight champion Daniel Cormier was expected to face former UFC champion and WWE star Brock Lesnar sometime this year. Even Lesnar recently lost his title at Wrestle Mania 35 that led many to speculate about his possible return to the Octagon. 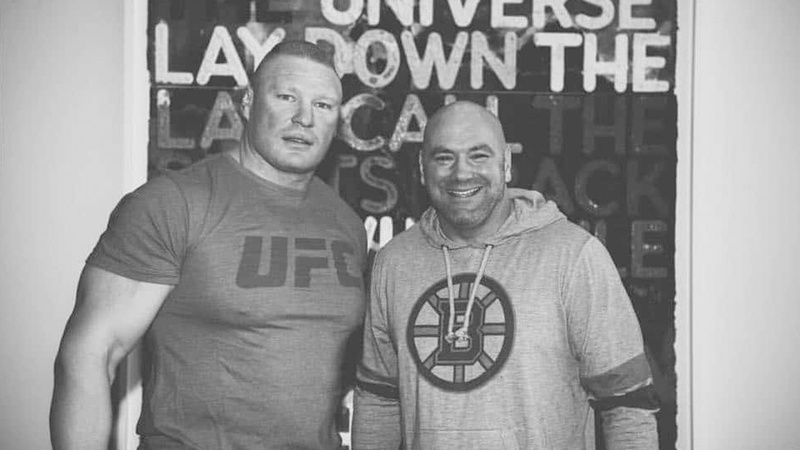 Lesnar’s future in the UFC has been the hot topic from the past nine months or so dating back to when he shoved Daniel Cormier inside the Octagon at UFC 226. Cormier pushed hard for Lesnar fight. With retirement on the horizon ‘DC’ hoping to cash in a big payday. Not long ago Dana White said Cormier wants it so bad as Lesnar wants this fight so bad, so it’s going to happen. Both Cormier and White put a deaf ear on Stipe Miocic’s demand for an immediate rematch. But it seems UFC head honcho is leaning toward Miocic rematch for Cormier, who’s currently rehabbing injuries from busy 2018 fight campaign, which saw him scoring wins in three title bouts in two different divisions. Let’s wait and see what’s next for Daniel Cormier and Brock Lesnar.